In the 10 years I've lived in London, I've spent a lot of time in the Tate Modern gift shop. There's always a lot of good stuff on offer. Its shelves are packed with books and magazines, helping you make sense of art. And sometimes you even stumble across the odd artist or two. 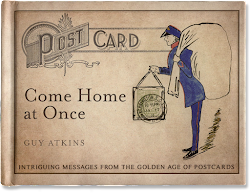 I'm also drawn to the store because I think it plays host to a new chapter in the history of the postcard; the rise of the "post postcard". 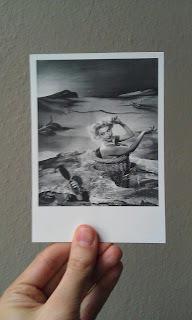 In rack after rack, gallery exhibits are reduced to the familiar 6 x 4 inch form. Hundreds of Dali, Magritte and Rothko replicas standby ready to make their exit from the gallery. For 60p a throw. 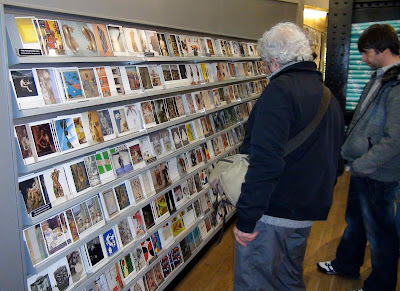 However, this is not the postcard section, really. They are cards, for sure. But they are not "post" cards. While some may be sent, we know most won't. 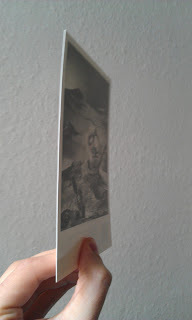 They are more likely to end up on fridge doors, in picture frames or as bookmarks - kept by the person who purchases them as souvenirs of trips to the gallery. This isn't just conjecture. It's there in the design. 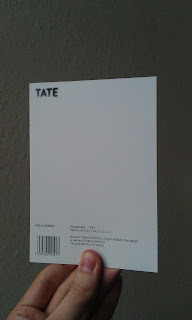 Turn a Tate card over and it surrenders any claim on being a "post" card. 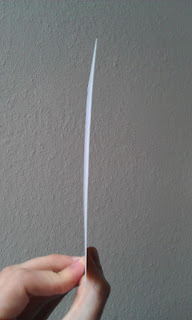 Gone is Hartmann's line down the middle of the 'back'. There isn't a box for a stamp. 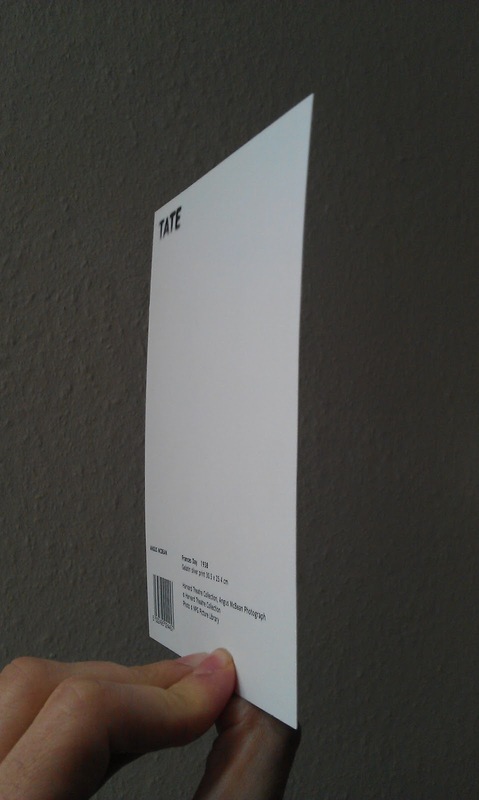 And any text is printed in portrait, not landscape. There is simply no expectation of a message, or of an address. If I were feeling mean spirited, I might argue that the "post" in "postcard" has become something of an alibi. Would galleries sell as many "small cards of paintings"? Or to look on the bright side, there continues to be a real warmth in the concept of the postcard, for all it represents as the Digital Revolution continues to gather momentum.